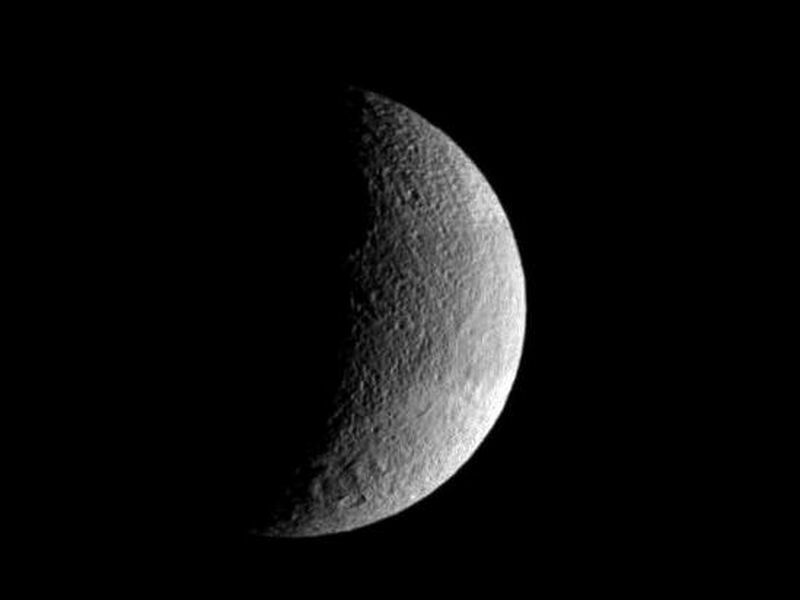 The pockmarked crescent of Tethys displays slightly darker terrain in a band at its equator. 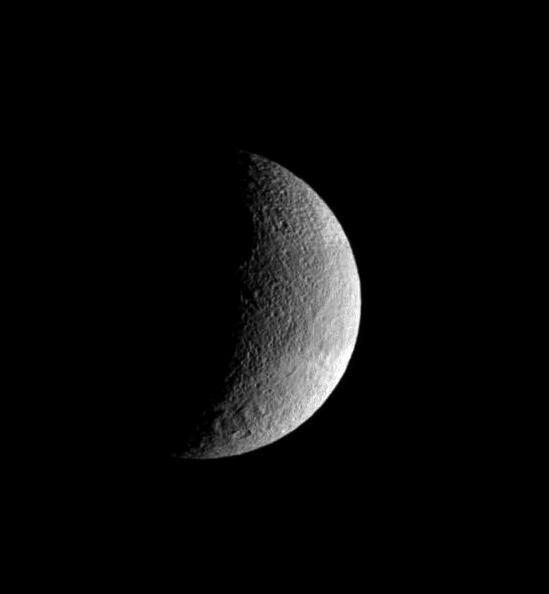 The rim of the great crater Odysseus lurks on the terminator. 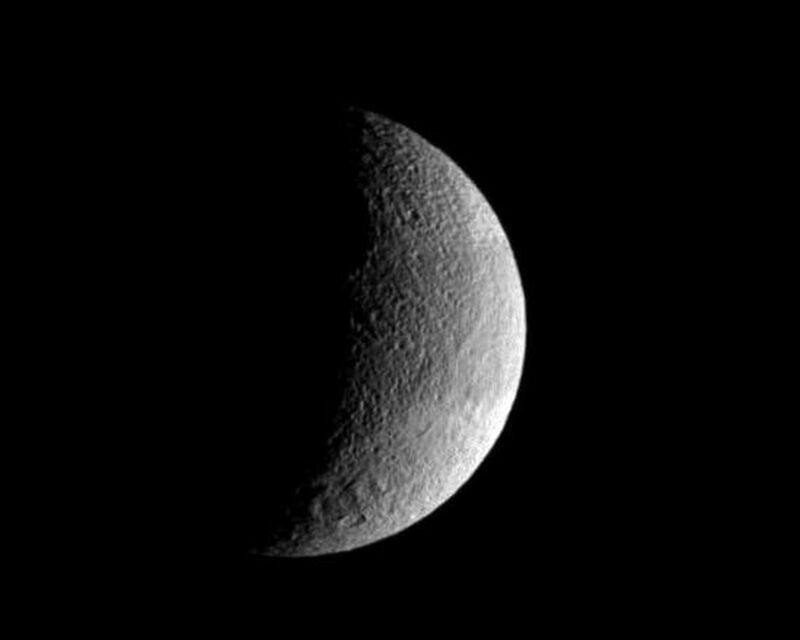 Lit terrain seen here is on the leading hemisphere of Tethys (1,071 kilometers, or 665 miles across). North is up. The image was taken in visible light with the Cassini spacecraft wide-angle camera on Aug. 29, 2007. 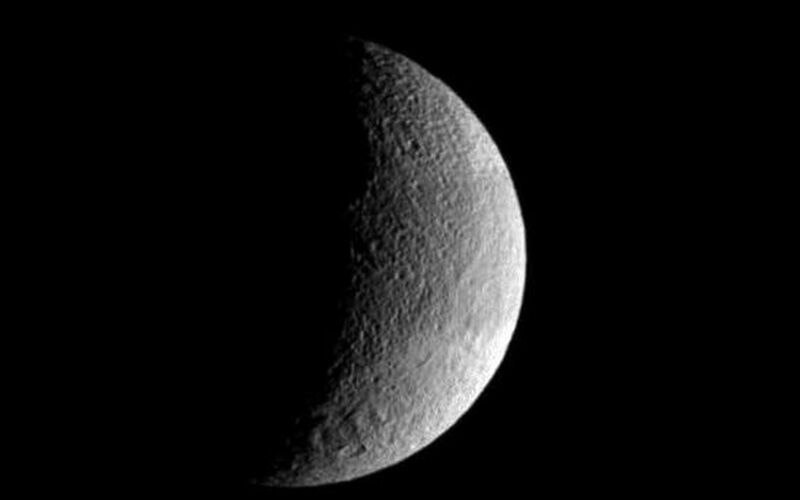 The view was obtained at a distance of approximately 56,000 kilometers (35,000 miles) from Tethys and at a Sun-Tethys-spacecraft, or phase, angle of 105 degrees. Image scale is 3 kilometers (2 miles) per pixel.